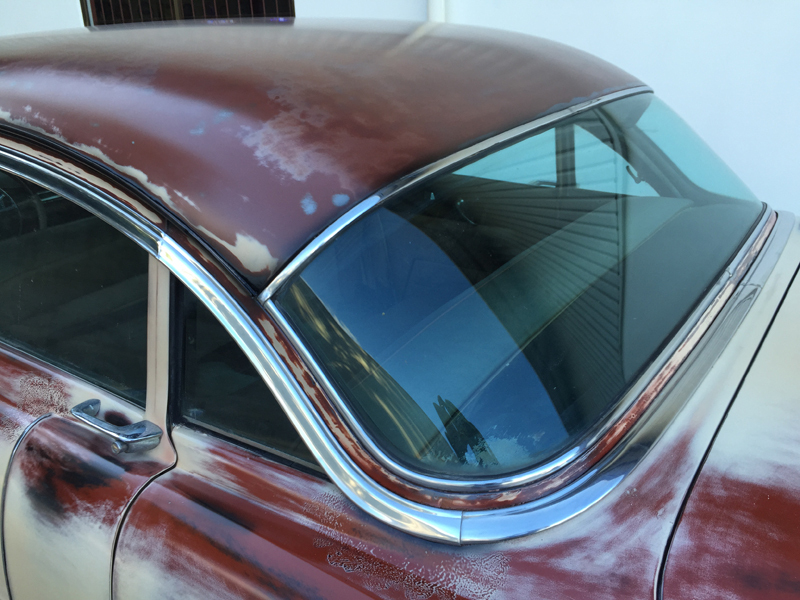 Our LA-based buyer was pleasantly surprised when he inspected this 1955 Cadillac Fleetwood. It was very solid and ran and drove well. The chrome, stainless trim and interior all appear to be complete. A couple of pieces of side glass have cracks but as these are flat panes they are easily replaced. We purchased the car for its potential to 'rat' rather than a full restoration...buy it and the choice is yours. 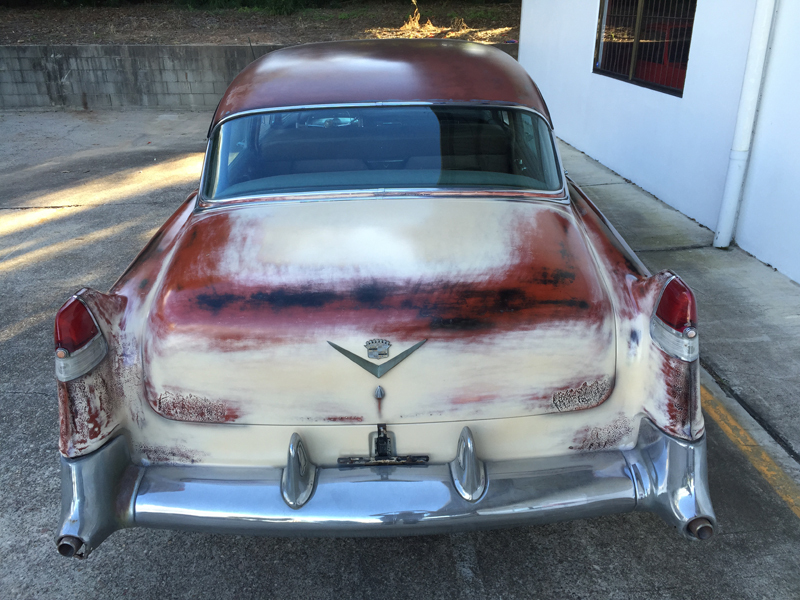 Once we took delivery of the Cadillac we drove it to our spray shop where we gave it the 'rat' treatment with faux patina. Currently our upholsterer is putting together and installing a brand new complete interior.